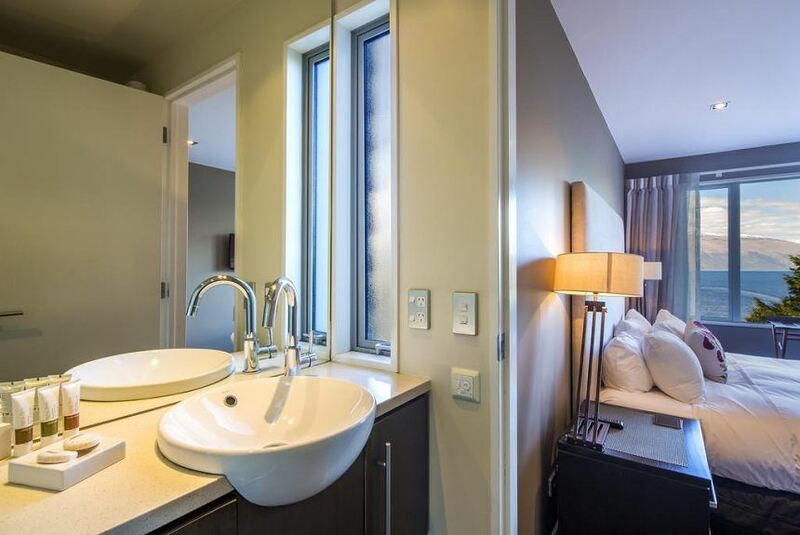 Offering stunning views of Lake Wakatipu and the surrounding mountains, LakeRidge Queenstown feature a spa bath, a fully equipped modern kitchen and full audio-visual system. Each apartment offers secure covered parking and unlimited free WiFi. LakeRidge Queenstown is a 5-minute walk down the hill to Queenstown. It is an 8-minute walk from the Skyline Gondola and the Coronet Peak ski field is a 25-minute drive away. Each apartment includes a gas fireplace, under floor heating and a large lounge area with satellite TV. All apartments offer laundry facilities and 2.5 bathrooms. Guests can enjoy beautiful lake and mountain views from each apartment's large private balcony, spacious open-plan kitchen, dining and living areas.